It will operate non-stop services to the German city 4 times a week. Scoot launched its inaugural flight to Berlin which is the first of its four-times-weekly non-stop Singapore-Berlin services. It said in an announcement that Berlin is Scoot’s third long-haul destination after Athens in Greece and Honolulu in the US, both of which were launched last year. 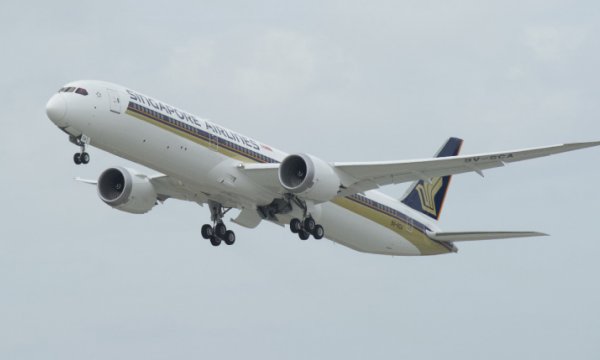 The aircraft, a widebody Boeing 787 Dreamliner named “Bo Jio”, had carried 311 customers - 95% full. Customers originated from Singapore, Indonesia and Australia amongst other countries, and half of them comprised young adults between 18 and 35 years old. Scoot’s 787 Dreamliners offer several amenities and services suited to long-haul travel, such as in-flight Wi-Fi, in-seat power, and inflight ScooTV entertainment streamed to guests’ own devices. Scoot’s route network currently spans 65 destinations across 18 countries and territories, with Nanchang to join next month. Its fleet of 17 787 Dreamliners and 24 Airbus A320 family aircraft, with three more Boeing 787 Dreamliners and 39 Airbus A320neo aircraft on order, is slated to increase to about 70 aircraft by 2022. With the addition of Berlin, the SIA Group network in Germany now encompasses four cities, including Düsseldorf, Frankfurt, and Munich, with a total of 29 return services a week.